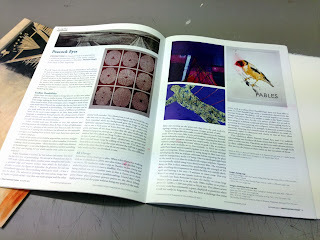 My etching Fables, published and edition by Peacock Visual Arts, is featured in a new article in the Autumn 2013 issue of Printmaking Today. The text is a focus on Michael Waight and his work as a master print technician in Peacock's studio in Aberdeen. I was very fortunate to work with Michael to create Fables in summer 2011.